Join us for our intensive SHRM Certification Preparation Course to identify your areas of strength and build on them, as well as see where you need further concentrated study in preparation for the exam. Led by a highly qualified and certified HR instructor, our intensive SHRM-CP/SHRM-SCP preparation seminars, combined with the SHRM Learning System, present a comprehensive and detailed review of the current SHRM Body of Competency & Knowledge™ (SHRM BoCK™). By attending, you will be able to identify areas of strength and build on them. You will also see where you need further concentrated study in preparation for either exam. 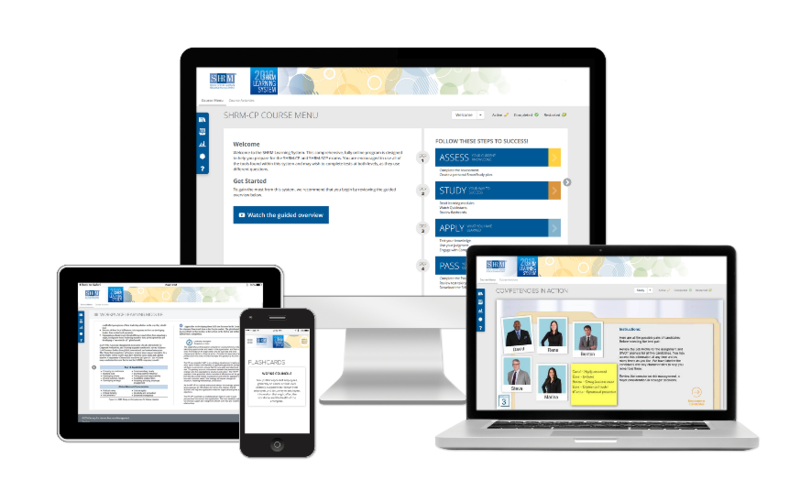 During your prep course, your SHRM-certified instructor will build upon the foundation you've already established through your studies of the SHRM Learning System, guiding you through interactive discussions, and sample test questions. While this preparation course should not be considered your only preparation for certification, it will serve as a very valuable component to help you focus your study efforts and maximize your results. - Led by a qualified and certified instructor. - Outside-the-classroom assignments help reinforce seminar sessions. - Sample test questions keep you confident in your breadth of knowledge. Amanda Haddaway is the managing director and lead consultant and trainer for HR Answerbox, a boutique consultancy focused on solving the people problems that business owners, executives and managers face on a daily basis. Amanda has more than 35,000 hours of experience in corporate HR services, which allows her to effectively partner with organizations to help them solve their human resources and employee challenges. Amanda is a national speaker and a published author of two books and numerous articles. She serves as the director for the Maryland SHRM State Council and the chairperson for the Frederick County Workforce Development Board. Amanda regularly teaches the certification prep course for Montgomery College and SHRM. She has hundreds of previous students who have passed the certification exam. "I would not have been even close to ready for the SCP test without CHRA's class!" Fees include the SHRM Learning System, continental breakfast and lunch each day, and prep course instruction by qualified instructor. Full payment is required at time of registration and full payment is received. Your SHRM Learning System will be ordered and mailed to you at the time of your registration. Early bird $1,125 (On or before March 1) *Best Value for this course in Maryland! Cancellations in writing to CHRA no later than April 9, 2019 will receive refunds minus a $600 fee for the cost of the SHRM Learning System and a $100 administration fee.